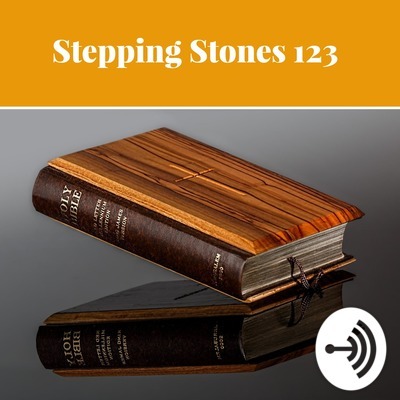 Welcome to Stepping Stones 123 where we are standing on the word of God, and walking it out in our life one day at a time!! Check out our latest episode with simple reminders for loving our children and raising them up in the way they should go!! Remember to also visit our blog at https://steppingstones123.com for daily encouragement. We can also be found on Instagram, Pinterest, YouTube, Twitter, Tumblr, and Facebook, so wherever you are we are!! We are ready and waiting to encourage you to stand on the word of God as you step out each day in faith!! Thank you for your support of our ministry here at Stepping Stones 123. My name is Devonne, and I look forward to walking this life journey with you!! Have an AMAZING day!! My song, "On A Mission"! Check out the words to my newest song. These words were on my heart, and I had to let them out!! I don't sing like a songbird, but the praise down in my heart is powerful and true!! We serve a great, big, wonderful God, and we each have a mission to do for the kingdom!! Let's get to work while it's yet day!!! Remember to also visit our blog at https://steppingstones123.com for daily encouragement. We can also be found on Instagram, Pinterest, YouTube, Twitter, and Facebook, so wherever you are we are!! We are ready and waiting to encourage you to stand on the word of God as you step out each day in faith!! Thank you for your support of our ministry here at Stepping Stones 123. My name is Devonne, and I look forward to walking this life journey with you!! Have an AMAZING day!! It's so good to be adopted into the family!! Check out our latest episode reminding us that we are a representative of our heavenly Father!! 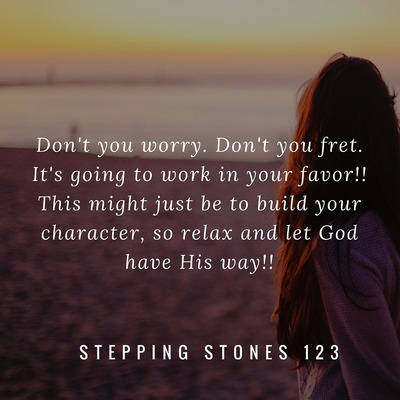 Remember to also visit our blog at https://steppingstones123.com for daily encouragement. We can also be found on Instagram, Pinterest, YouTube, Twitter, Tumblr, and Facebook, so wherever you are we are!! We are ready and waiting to encourage you to stand on the word of God as you step out each day in faith!! Thank you for your support of our ministry here at Stepping Stones 123. My name is Devonne, and I look forward to walking this life journey with you!! Have an AMAZING day!! Warning!! Hurricane Florence On The Way, But So Is Christ!! We must be a prepared people for a prepared place!! Check out our latest episode reminding each of us that we must heed the warnings, and follow the plan set forth in the bible to prepare for the return of Christ!! Remember to also visit our blog at https://steppingstones123.com for daily encouragement. We can also be found on Instagram, Pinterest, YouTube, Twitter, Tumblr, and Facebook, so wherever you are we are!! We are ready and waiting to encourage you to stand on the word of God as you step out each day in faith!! Thank you for your support of our ministry here at Stepping Stones 123. My name is Devonne, and I look forward to walking this life journey with you!! Have an AMAZING day!! We must be about our Father's business as Christians!! Check out our latest episode reminding each of us that we have a mission to "Go and Compel Them To Come" to God while there is yet time!! Remember to also visit our blog at https://steppingstones123.com for daily encouragement. We can also be found on Instagram, Pinterest, YouTube, Twitter, and Facebook, so wherever you are we are!! We are ready and waiting to encourage you to stand on the word of God as you step out each day in faith!! 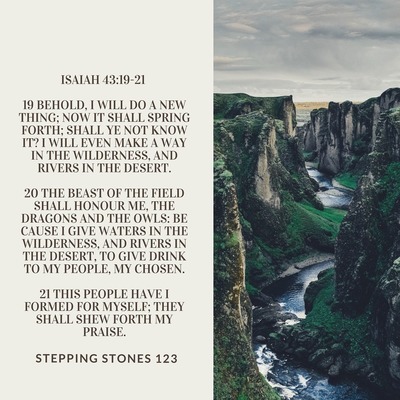 Thank you for your support of our ministry here at Stepping Stones 123. My name is Devonne, and I look forward to walking this life journey with you!! Have an AMAZING day!! We must not waver as Christians!! Check out our latest episode reminding each of us to "Hold Fast" to God's unchanging hand!! Remember to also visit our blog at https://steppingstones123.com for daily encouragement. We can also be found on Instagram, Pinterest, YouTube, Twitter, and Facebook, so wherever you are we are!! We are ready and waiting to encourage you to stand on the word of God as you step out each day in faith!! Thank you for your support of our ministry here at Stepping Stones 123. My name is Devonne, and I look forward to walking this life journey with you!! Have an AMAZING day!! We are bombarded on a daily basis with one issue after another!! We must know who we can lean on and depend on through it all. Jesus, our Lord and Savior, is the answer to every problem!! Check out our latest episode reminding each of us to stop and consider "Where Is My Faith"? The wise person knows to trust God through it all!! Remember to also visit our blog at https://steppingstones123.com for daily encouragement. We can also be found on Instagram, Pinterest, YouTube, Twitter, and Facebook, so wherever you are we are!! We are ready and waiting to encourage you to stand on the word of God as you step out each day in faith!! Thank you for your support of our ministry here at Stepping Stones 123. My name is Devonne, and I look forward to walking this life journey with you!! Have an AMAZING day!! Every Morning God's mercy is new, and I am so grateful for his love! How about you? Check out our latest episode proclaiming "Thank God For Mercy"!! We are here today because of it, and I don't take it for granted. Neither should you. Remember to also visit our blog at https://steppingstones123.com for daily encouragement. We can also be found on Instagram, Pinterest, YouTube, Twitter, and Facebook, so wherever you are we are!! We are ready and waiting to encourage you to stand on the word of God as you step out each day in faith!! Thank you for your support of our ministry here at Stepping Stones 123. My name is Devonne, and I look forward to walking this life journey with you!! Have an AMAZING day!! Have you ever met a fake person? Uggh!! We definitely do not want to fall in that category as Christians! We want to be christ like in all we say and do! 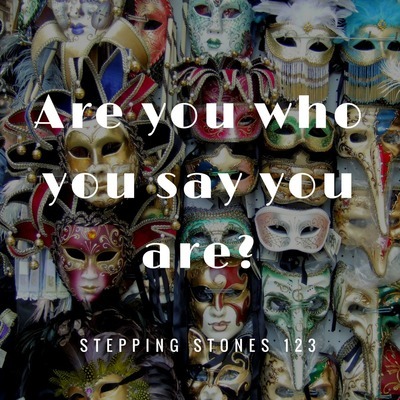 Check out our latest episode "Are You Who You Say You Are"? Great question for us to consider, and I pray each of us can truly say we are walking in true holiness!! Remember to also visit our blog at https://steppingstones123.com for daily encouragement. We can also be found on Instagram, Pinterest, YouTube, Twitter, and Facebook, so wherever you are we are!! We are ready and waiting to encourage you to stand on the word of God as you step out each day in faith!! Thank you for your support of our ministry here at Stepping Stones 123. My name is Devonne, and I look forward to walking this life journey with you!! Have an AMAZING day!! The joys of falling in love is thrilling!! Oh, the excitement and anticipation that we experience in the beginning, but what happens when we have been married for a while to our passion? 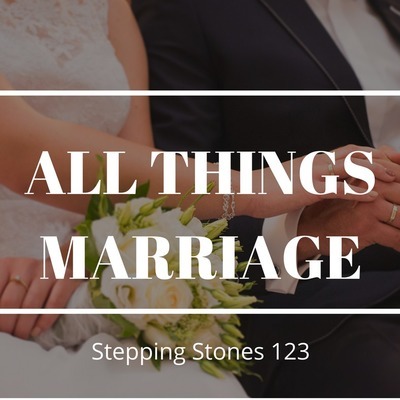 Check out our latest episode "All Things Marriage", as we discuss this very important topic. By the way, I was excited to have my spouse join in the conversation! Remember to also visit our blog at https://steppingstones123.com for daily encouragement. We can also be found on Instagram, Pinterest, YouTube, Twitter, and Facebook, so wherever you are we are!! We are ready and waiting to encourage you to stand on the word of God as you step out each day in faith!! Thank you for your support of our ministry here at Stepping Stones 123. My name is Devonne, and I look forward to walking this life journey with you!! Have an AMAZING day!! The anticipation of experiencing something new can be overwhelming at times, but even more so when it is a God thing!! Check out our latest episode "A New Thing", as we believe God to make a way out of no way!! Remember to also visit our blog at https://steppingstones123.com for daily encouragement. We can also be found on Instagram, Pinterest, YouTube, Twitter, and Facebook, so wherever you are we are!! We are ready and waiting to encourage you to stand on the word of God as you step out each day in faith!! Thank you for your support of our ministry here at Stepping Stones 123. My name is Devonne, and I look forward to walking this life journey with you!! Have an AMAZING day!! Life may have gotten in a few good punches that have left us flat on our face, but it's not over yet!! We are now in the perfect place, prostrate before our heavenly Father, to seek His face like never before!! Check out our latest episode "I Shall Rise". I may have been lied on, mistreated, and berated but I serve a great God who can help me stand again!! It ain't over until God says so!! Get back up again!! Remember to also visit our blog at https://steppingstones123.com for daily encouragement. We can also be found on Instagram, Pinterest, YouTube, Twitter, and Facebook, so wherever you are we are!! We are ready and waiting to encourage you to stand on the word of God as you step out each day in faith!! Thank you for your support of our ministry here at Stepping Stones 123. My name is Devonne, and I look forward to walking this life journey with you!! Have an AMAZING day!! ALL that we have belongs to God, and we are entrusted to care for it for a season. Let's pray for one another that we do so wisely!! Check out our latest episode "Steward Of God" reminding us to be faithful, prudent servants of Christ!! Remember to also visit our blog at https://steppingstones123.com for daily encouragement. We can also be found on Instagram, Pinterest, YouTube, Twitter, and Facebook, so wherever you are we are!! We are ready and waiting to encourage you to stand on the word of God as you step out each day in faith!! Thank you for your support of our ministry here at Stepping Stones 123. My name is Devonne, and I look forward to walking this life journey with you!! Have an AMAZING day! !